There are two moments of the day that I treasure. First is in the morning when I take my children to school. The second is in the afternoon when I pick them up. At 7:50am I walk my daughter to the Bonanova church where the school bus picks her up at 8am. She goes to the Pedralbes campus. She is the last kid to enter the bus as we live not far away from the school. Marisol, the woman responsible for the children in the bus smiles cheerfully, calls Lorena “corazon”, and wishes me a great day. The bus driver salutes us and the bus takes off. At 8:45am my son and me get out of our building and walk to school. Fifteen minutes of jumping, running, hiding, talking, and laughing. Closer to the school gate my son recognizes his friends and sometimes runs to them. The school director greets all the parents at the gate. 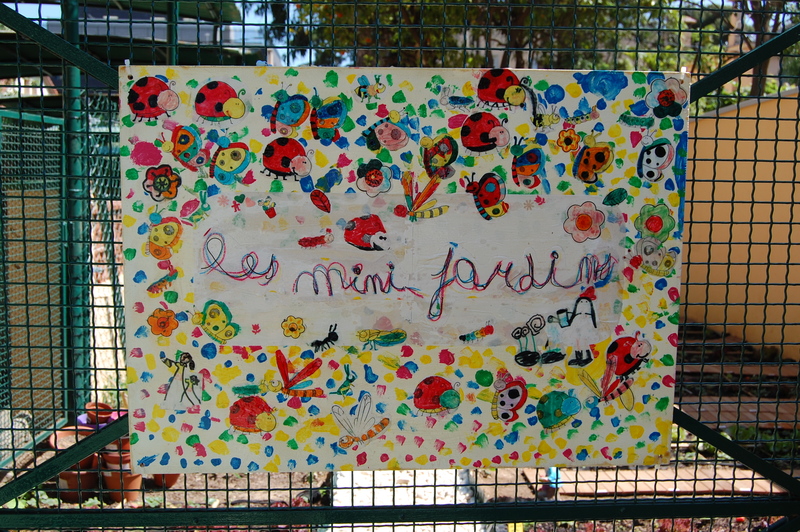 Once inside the school patio we go to the classroom door, and Carole, my son’s teacher, says, “Bonjour Miro” and “Ça va?”. “Ça va bien,” replies my son. As a grown-up I have an impression that time runs differently inside the school walls. Like if the care of the teachers, the love of the school personnel, the attention of the bus drivers, the lettuce and strawberry planted by the children, the running little feet, and the children’s smiles made it magical. Every minute has a different purpose. Every word weights differently. Every hand is helping, strong, and kind. Every interaction leaves an impression. Sometimes when I walk out of the school gate in the morning I feel a little bit silly, like if I was about to cry. Because I see the children’s growth; Because I have the full trust that they are transforming into real people. And this experience, this touch of magic and future, is transforming me too. I love picking up the kids from school. 4:25pm every day, 3:25pm on Fridays. 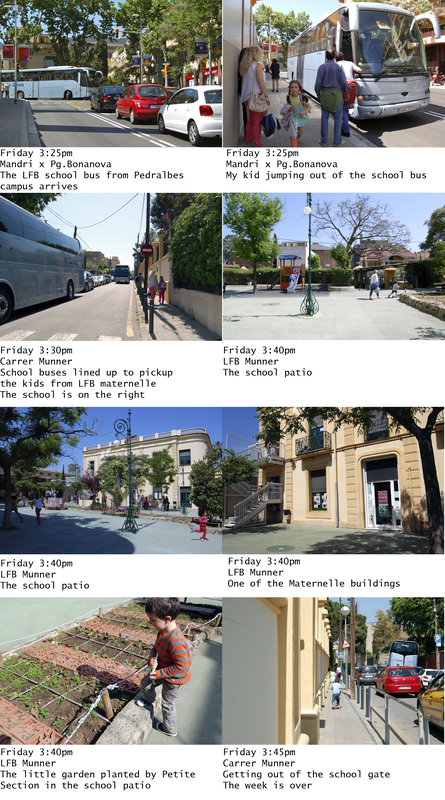 This entry was posted in Barcelona, Kids & Fun, Spain and tagged Barcelona, kids, LFB, Lycee Francais, Munner, Pedralbes, school by Masha Kubyshina. Bookmark the permalink.